Homemade strawberry jam is probably my favorite as far as jams go....especially when it's warm right out of the pot. After all it's important to do quality assurance testing. I used Pomona's Pectin so I could make this low sugar version and while I love adding spices and playing with recipes...sometimes "simple" is too perfect to mess with. 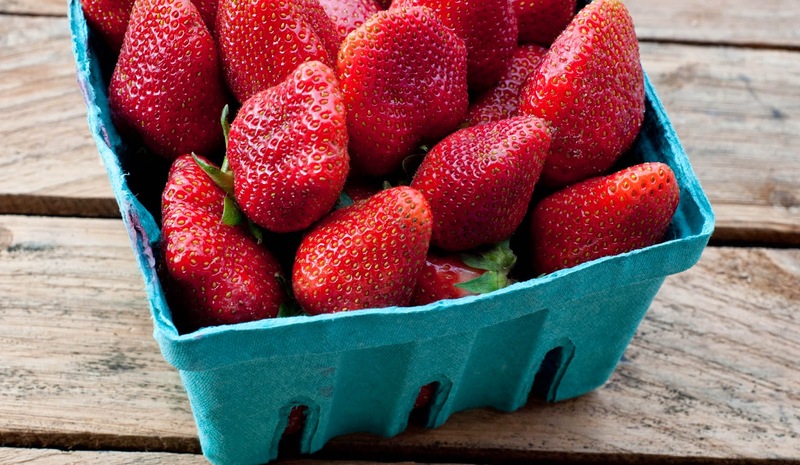 Pick yourself or purchase from your local farm stand fresh strawberries. Wash, hull, and smash. Measure out 4 cups of fruit. Place fruit in pot and add calcium water. In a separate bowl mix sugar and pectin. Bring fruit and calcium water mixture to a boil and add the sugar pectin. Still continuously for 2 minutes to dissolve sugar. When fruit mixture comes back to a full boil remove from heat. Fill clean jars leaving 1/4 headspace. Remove air bubbles, wipe rims, and apply lids. Process for 10 minutes (adjust for altitude). After processing check seals and enjoy with in one year.